"Generations of caring, experience, and trust"
Welcome to the web site of Drs. Concannon & Vitale. We are a child health practice servicing children from birth through college. We are on the medical staffs of Hasbro Children's Hospital, and of Women & Infants Hospital. Both Dr. Concannon and Dr Vitale are board certified pediatricians. We like to think of ourselves as easy to approach, and value the opportunity to answer all of your questions. We offer same-day appointments for urgent health care needs. Covering doctors Doctors that may cover our practice--with Maps! It affects your children and you! Welcome to the web site of Drs. Concannon & Vitale. We are a child health practice servicing children from birth through college. We are on the medical staffs of Hasbro Children's Hospital, and of Women & Infants Hospital. Both Dr. Concannon and Dr Vitale are board certified pediatricians. We like to think of ourselves as easy to approach, and we value your input in making health decisions for your child. We offer same-day appointments for urgent health care needs.Welcome to the web site of Drs. Concannon & Vitale. We are a child health practice servicing children from birth through college. We are on the medical staffs of Hasbro Children's Hospital, and of Women & Infants Hospital. 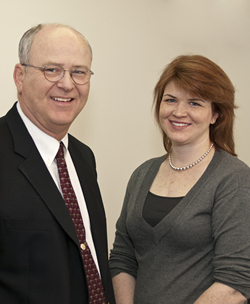 Both Dr. Concannon and Dr Vitale are board certified pediatricians. We like to think of ourselves as easy to approach, and we value your input in making health decisions for your child. We offer same-day appointments for urgent health care needs.